Case law has established that it matters how employers terminate their employees. Employees who have a senior position in a company may be considered a fiduciary employee (or “fiduciaries”). These employees have higher obligations during and after the employment relationship including a limited ability to leave and compete against their former employer, whether or not the departure was on their own accord. Even if this term is not explicitly demonstrated within an employment agreement, a fiduciary employee cannot solicit any of their employer’s former clients especially if the formation or development of a relationship occurred during their employment. In the case of Palumbo v. Quercia, the Ontario Superior Court found that the manner in which a fiduciary employee is terminated can affect the degree of their fiduciary duty to their employer. Prior to the termination of the applicant, the applicant and respondents were founders and equal share holders of Boothworks Inc, a trade show and event company. In particular, the applicant had personally dealt with a client who represented approximately 50% of Boothworks’ revenue. In 2017, the applicant was removed as a director and officer of the company and eventually terminated by the respondents. The respondents feared that the applicant would pull along this major client because the applicant fostered the client relationship before working with Boothworks. Despite the respondents’ efforts to maintain the relationship with the client, the client ultimately decided to sever its ties with Boothworks and provide its business to the applicant. Subsequently, Boothworks lost 50% of its revenue due to the loss of this client. The applicant sought a fair market value purchase of his shares. The respondents began a counter application alleging breach of fiduciary duty alleging that the applicant had stolen the business of their major client. Justice Dunphy concluded that there is no question that a fiduciary’s duties do not cease upon departure; however, he continued (emphasis added), “Soliciting business from former clients may be considered unfair depending upon the circumstances, including the circumstances of departure of the fiduciary… restrictions on soliciting clients of the corporation places upon a fiduciary who is unfairly terminated by the corporation will not be as strict as those applicable to a fiduciary who leaves voluntarily”. In addition, Justice Dunphy considered the fact that this major client stopped seeking out the services of Boothworks because the applicant (the fiduciary)’s expertise was no longer available there. 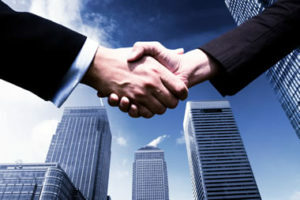 Therefore, the client awarded the applicant a contract for his services at their own discretion. Justice Dunphy found that the manner in which the respondents demoted and eventually terminated the applicant to be ‘outwardly egregious’. The respondents’ conduct and the fact that the client left on their own free will led Justice Dunphy to decide in favour of the applicant. Despite fiduciaries being held to a higher standard, this standard remains dependent on circumstances surrounding their departure. It is important that employers/employees understand that former employees’ obligations may become diminished and mistreatment of a fiduciary may have adverse implications legally and commercially for employers. If you are an employer or employee dealing with similar circumstances, it is important to consult legal professionals in employment law. Call Monkhouse Law for a free consultation.